September 29, 2016 – The Cambridge City Council voted unanimously to make an offer of employment to Louis A. DePasquale as the next City Manager at a special meeting held on Thursday, September 29, 2016. Mr. DePasquale will succeed City Manager Richard C. Rossi who is retiring on September 30, 2016. The appointment of Mr. DePasquale is contingent on successful contract negotiations. He is currently the City’s Assistant City Manager for Fiscal Affairs. The City Council also voted to appoint Deputy City Manager Lisa C. Peterson as Acting City Manager effective October 1, 2016. She will serve as Acting City Manager until Mr. DePasquale is appointed. Louis A. DePasquale was appointed Assistant City Manager for Fiscal Affairs in 2002 after serving as the City’s Budget Director for twenty years. 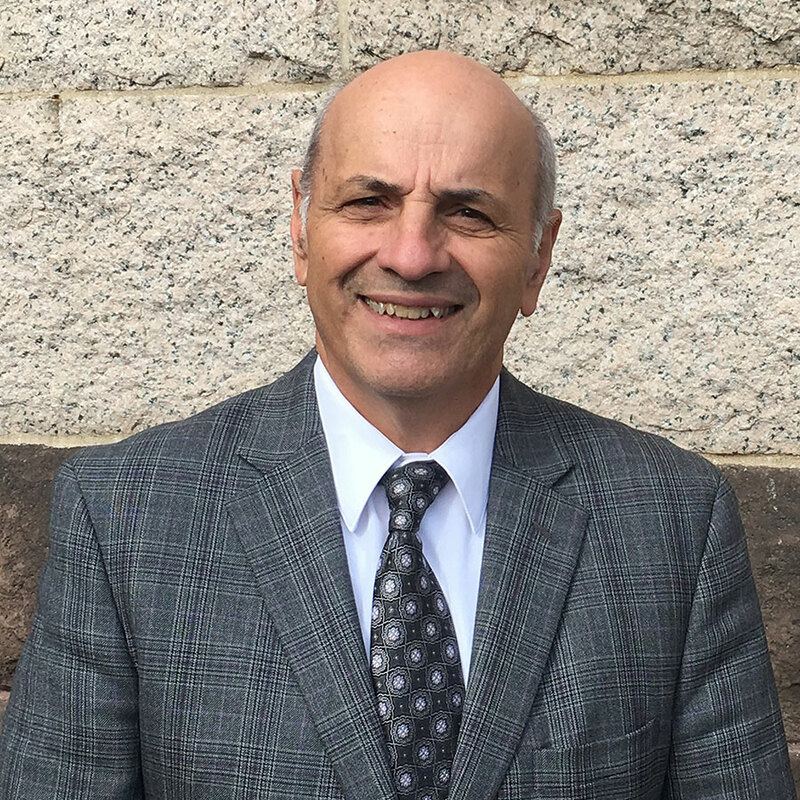 As Assistant City Manager, Mr. DePasquale is responsible for setting financial policy direction for the City; planning, implementing and overseeing the City’s operating and capital finances; and managing the City’s investment, debt service, and reserve policies. In his current role, he also oversees the management of eight City departments, is a member of the City’s senior management team, and has been actively involved in major City policy and programmatic initiatives. Mr. DePasquale currently serves as the Finance Chair of the Board of Trustees of Cambridge Health Alliance, an appointed member of the Neville Communities, Inc. Board, and as member of the Cambridge Community Preservation Act Committee and the Cambridge Family Policy Council. Louis is a lifelong Cambridge resident and is married to Cheryl DePasquale and has two children, Kristen DePasquale and Louis DePasquale, both of Medford. He has been a coach in the Cambridge Youth Baseball Programs for 35 years. He received a Bachelor of Science from Boston State College and a Masters of Public Administration from Northeastern University. ORDERED: That the City Council make an offer of employment as City Manager to Louis A. DePasquale, conditioned upon the successful negotiations of a contract with terms agreeable to both parties. ORDERED: That the City Council appoint Lisa C. Peterson as Acting City Manager commencing on Oct 1, 2016 and continuing until a new City Manager is appointed and that during her appointment as Acting City Manager that she be compensated with a weekly stipend of $1,000.00 in addition to her regular salary. ORDERED: That the City Council request that the City enter into a contract with Elizabeth Valerio and John Foskett of the Deutsch, Williams Firm to advise the City Council in negotiating a contract with the prospective City Manager. Barring any unexpected turns of events, this will be the last regular City Council meeting with City Manager Richard Rossi. Manager’s Agenda #10. A communication transmitted from Richard C. Rossi, City Manager, relative to the appointment of the Steering Committee for the City’s Birth to Grade Three Partnership. I have come to look upon those who choose to serve on City boards and commissions as possessing a sort of nobility. Regardless of their age, these public-spirited people are like the Village Elders. They serve without compensation and, in some cases, most notably the Planning Board, they devote a significant amount of time in this voluntary capacity. Perhaps we should form a congress of all those who serve or who have served at one time – The League of Extraordinary Ladies and Gentlemen. Manager’s Agenda #11. A communication transmitted from Richard C. Rossi, City Manager, relative to the Outdoor Lighting Zoning recommendations. These are the zoning amendments that would go along with the proposed Outdoor Lighting Ordinance. It has been interesting, and at least somewhat entertaining, watching how this reasonable proposal to regulate intrusive lighting has led to some people wanting to expand it to deal with all lighting, including advertising signage that shine into the bedrooms of no one. This seems like a particularly Cambridge sort of thing – a proposal to regulate something turning into a proposal to regulate everything. I like the idea of establishing some standards for outdoor lighting, particularly in residential areas, as a courtesy to those who would like to get a good night’s sleep. What this has to do with decorative lighting, especially garish and aesthetically questionable lighting in places like North Point, escapes me. Perhaps that’s the real point of these zoning recommendations – to grant the Planning Board some regulatory authority for this other stuff while the Municipal Lighting Ordinance remains focused on ensuring that spotlights don’t shine into people’s bedroom windows or darken the night sky. M. Vote the income limit for deferral of real estate taxes by elderly persons as determined by the Commissioner of Revenue for the purposes of MGL Chapter 62, Section 6, subsection (k) for a single person ($57,000) and for married ($85,000). As Bob Healy would always say, the City doesn’t set the property tax rates. The Department of Revenue does. He would also add that once these votes are taken these rates are virtually guaranteed to be the same as those given in the communication: "Based on a property tax levy of $372.7 million, the FY17 residential tax rate will be $6.49 per thousand dollars of value, subject to Department of Revenue approval. This is a decrease of $0.50, or -7.2% from FY16. The commercial tax rate will be $16.12, which is a decrease of $1.59, or -9.0% from FY16." Don’t jump for joy just yet. Property values have been escalating so rapidly (average of 13.5% in one year for residential properties) that you should expect to pay a bit more, especially in Riverside and Cambridgeport. Manager’s Agenda #14. A communication transmitted from Richard C. Rossi, City Manager, relative to the Broadband Task Force recommendations and Tilson Report. Boondoggle alert. One estimate is that it would cost $187 million dollars to build such a network, and there’s no guarantee that customers would leave Comcast or another Internet service provider in favor of such a new network, especially if Comcast adjusts its pricing structure a little. That’s a lot of public money expended for a discount. Anyway, this report just calls for a Feasibility Study. Manager’s Agenda #15. A communication transmitted from Richard C. Rossi, City Manager, relative to City accomplishments during City Manager 2013-2016. Read Rich Rossi’s memo. It has been a busy few years. Then think for a while about all of the major capital projects Richie has played a lead role in over the last few decades. It will make you feel pretty good about City government in Cambridge – even on the evening when votes are being taken to determine how much property tax you’ll be paying this year. Manager’s Agenda #16. A communication transmitted from Richard C. Rossi, City Manager, relative to Awaiting Report Item Number 16-16, regarding the plan to take Vail Court by eminent domain. Hallelujah! The City takes this step only when absolutely necessary, and this is long overdue. Manager’s Agenda #17. A communication transmitted from Richard C. Rossi, City Manager, relative to the City’s Agreement with MassDOT and MBTA regarding funding contribution agreement for Green Line Extension Project. These are the details associated with the announced agreement that was made several months ago. 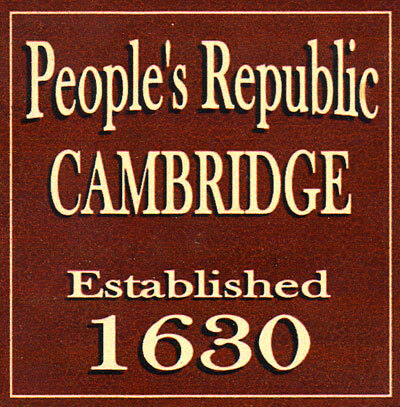 The Statement of Purpose says it best: "The purpose of this ordinance shall be to make the operation of short-term rentals legal for Cambridge residents, protect the safety of renters, owners, visitors, and neighbors, and ensure that short-term rentals will not be a detriment to the character and livability of the surrounding residential neighborhood." Committee Report #1. A communication was received from Paula M. Crane, Deputy City Clerk, transmitting a report from Mayor E. Denise Simmons, Chair of the Housing Committee for a public hearing held on Aug 30, 2016 to continue public discussion regarding the recent completed Inclusionary Housing Study and the Draft Recommendations of the Community Development Department. Committee Report #2. A communication was received from Paula M. Crane, Deputy City Clerk, transmitting a report from Mayor E. Denise Simmons, Chair of the Housing Committee for a public hearing held on Sept 8, 2016 to continue the public discussion regarding the recently completed Inclusionary Housing Study and Draft Recommendations of the Community Development Department. The Housing Committee has now voted that the Community Development Department’s recommendations for Inclusionary Zoning be forwarded to the full City Council with a favorable recommendation. Primarily this will set the Inclusionary Housing required percentage for new construction over a minimum size at 20% net, though the City Council could still modify this proposed percentage. There will apparently still be some discussion about whether this will be phased in and, if so, over what period. I still remain skeptical whether this requirement will be economically feasible beyond the short term. I also have some misgivings about a future in which only wealthy people will be able to afford market housing with everyone else having to apply to a government agency to access housing that is affordable to them. The biggest mistake made over the last 20+ years was in allowing most of the housing stock of two- and three-family houses to be converted into now-unaffordable condominiums. That had previously been one of the most significant sources of affordable housing for both owners and renters. Manager’s Agenda #5. A communication transmitted from Richard C. Rossi, City Manager, relative to Awaiting Report Item Number 16-73 and Council Order Number 4 (of Sept 12, 2016), regarding lowering speed limits in the City. In short, the City Council jumped the gun last week. For starters, the City Council must first vote to accept those sections of the new state law that would give them the authority to lower local speed limits. They cannot even do this until Nov 7. The intention of City traffic officials was to lower the speed limit on City-owned roads to 25mph, and this communication makes quite clear that a 20mph speed limit would be a challenge to enforce – to say the least. I challenge anyone driving in Cambridge to maintain a consistent speed of 20mph or less while driving in Cambridge. It’s not unreasonable on a relatively narrow street that’s parked on both sides, but it borders on the absurd on many other streets. A limit of 25mph is doable, but not 20mph. That lower limit should be reserved for locations where it actually makes sense. One more example of how the City Council likes to take steps that they think will make them look "progressive" without actually thinking through the possible consequences. Few people would dispute the parts of this Ordinance that deals with expanded polystyrene (EPS), i.e. "Styrofoam". The issue is with other polystyrene products like straws, cups, lids and utensils. The available alternatives – bioplastic compostable products – decompose at much slower rates than are acceptable at any of the facilities that accept organic waste from the City of Cambridge. These materials will be rejected at these facilities. Public policy has to be based on more than just wishful thinking. I was at the committee meeting when these other materials were abruptly added to the proposed ordinance without so much as a conversation. As always, it’s 80% for affordable housing projects ($6,880,000 plus $1,280,000 in state matching funds), 10% for open space acquisition ($860,000 plus $160,000 in state matching funds), and 10% for historic preservation projects ($860,000 plus $1,280,000 in state matching funds). Additional fund balances will also be expended toward these three areas. Having known Rich Rossi for 27 years of those 45 years of service, I join in wishing Richie all the best in his many years of blissful retirement. I have known very few people who are as expert at getting things done as Rich Rossi. The people of Cambridge owe him a world class "thank you". The City Council’s Government Operations, Rules and Claims Committee, is inviting the public to a Meet the Finalists forum on Tues, Sept 20, 2016, from 6:00pm to 9:00pm in the Fitzgerald Theater located in the Cambridge Rindge and Latin School. This forum is an opportunity for the public to meet the three finalist vying to succeed outgoing City Manager Richard C. Rossi. The meeting will be broadcast live on the City’s Municipal Cable Channel, 22-CityView. Vote on the selection of the next City Manager expected week of Sept 26 (possibly Thurs, Sept 29). September 15, 2016 – Today, City Councillor David P. Maher and City of Cambridge Personnel Director Sheila Keady Rawson, co-chairs of the Cambridge City Manager Preliminary Screening Committee (PSC), announced the names of the three finalist candidates being forwarded to the entire City Council for consideration. The PSC’s decision was unanimous. Robert “Jay” Ash Jr. – Mr. Ash is currently the Secretary of the Executive Office of Housing and Economic Development for the Commonwealth of Massachusetts. Previously, he served in a variety of roles in the City of Chelsea, including fourteen years as City Manager. Mr. Ash also served as a legislative aide to Representative Richard Voke. He is a graduate of Clark University. Louis A. DePasquale – Mr. DePasquale is the City’s Assistant City Manager for Fiscal Affairs in Cambridge. Prior to taking on that assignment, he was the City’s Budget Director, and also worked in other capacities in the City’s Budget and Treasury Departments. Mr. DePasquale is a graduate of Boston State College and received his MPA from Northeastern University. Paul J. Fetherston – Mr. Fetherston is currently the Assistant City Manager in Asheville, NC. He has previously served as Deputy City Manager in Boulder, CO, and has held a variety municipal management positions in Connecticut. He is a graduate of Trinity College, CT, and received his J.D. from Western New England School of Law. A “Meet the Finalists” forum will be held on Tuesday, September 20, 2016, from 6:00-9:00pm., in the Fitzgerald Auditorium at Cambridge Rindge and Latin School, 459 Broadway, where members of the public will have an opportunity to meet and hear each finalist’s vision for the City and answer questions. On Wednesday, September 21, beginning at 5:30pm, in the Sullivan Chamber at Cambridge City Hall, the City Council will conduct public interviews with the three finalists. The City Council is expected to vote to appoint the next City Manager during a Special City Council Meeting on Thursday, September 29. Each meeting will be broadcast on 22-Cityview (the municipal cable channel) and can also be livestreamed online at www.CambridgeMA.GOV. Those attending the “Meet the Finalists” forum and the City Council’s public interviews will be provided the opportunity to give written feedback to the City Council. The PSC was appointed by Mayor E. Denise Simmons and was comprised of 15 community members reflecting citywide constituencies, and four City Council members. GovHR USA, the professional consulting firm hired to assist with the recruitment and hiring process, presented candidates for the committee’s review. According to Joellen Earl, CEO of GovHR USA, the Cambridge position attracted a diverse group of 55 candidates. The PSC conducted an in-depth review of 15 candidates, 27% of which were women or persons of color. The PSC ultimately offered interviews to 8 candidates. The interviews were held on September 12 and 13. The PSC members included resident representatives Peter Traversy, Elaine Thorne, and Laura Booth; large business representative Jay Kiely; small business representative Patrick Magee; Cambridge Public School representative Richard Harding; public safety representative Gerald Reardon; a person with demonstrated knowledge of municipal finance representative Fred Fantini; health and human services/public health representative Claude Jacob; person with knowledge of city planning/urban development representative Susan Schlesinger; higher education/institutional partner representative Kevin Casey; public art and/or recreational representative Ellen Semonoff; affordable housing advocate Susan Connelly; nonprofit community representative Elaine DeRosa; advocate for the quality of our community’s civic and social well-being representative Reverend Lorraine Thornhill; and City Councillors Leland Cheung, David Maher, Nadeem Mazen, and Timothy Toomey. The initial interviews performed by the PSC were preceded by a series of community focus groups, public meetings, and surveys, leading to the development of a leadership profile used during the recruitment phase. For additional information about the City Manager search process, please visit www.CambridgeMA.GOV/CityManagerSearch. Sept 14 – The City Council’s Government Operations, Rules and Claims Committee, is inviting the public to a Meet the Finalists forum on Tuesday, September 20, 2016, from 6:00pm to 9:00pm in the Fitzgerald Theater located in the Cambridge Rindge and Latin School. This forum is an opportunity for the public to meet the three finalist vying to succeed outgoing City Manager Richard C. Rossi. The meeting will be broadcast live on the City’s Municipal Cable Channel, 22-CityView. A Preliminary Screening Committee, comprised of 15 community members reflecting citywide constituencies and four City Council members, has been interviewing the most qualified applicants and is recommending the three finalists to the City Council. The names of the finalists are expected to be released by Thursday, September 15, 2016. The public can submit suggested candidate questions to the Committee until to noon on Monday, September 19. Based on the submissions received, GovHR USA, the professional recruiting consultant assisting the City Council with the hiring process, will generate questions based on the themes submitted by the public. 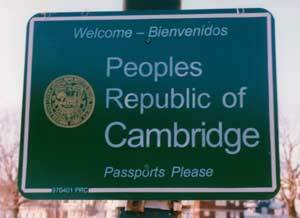 Suggested questions can be emailed to cambridge@GovHRUSA.com. Following the formal presentation and question part of the program, the finalists will be on hand to answer individual questions from members of the public. For additional information or questions about the Meet the Finalists forum, please contact Fran Cronin, at 617-349-4276 or fcronin@cambridgema.gov. 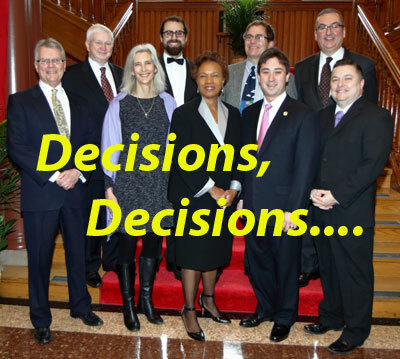 For information on the City Manager Search Process, please visit www.CambridgeMA.GOV/CityManagerSearch. Two of my favorite people in City government. The City Council gets to appoint the City Manager, the City Auditor, and the City Clerk (and by recent tradition, the Deputy City Clerk). The Really Big Question is whether the City Council will meet its proposed date of Sept 26 to appoint the next City Manager. That’s just two weeks from now. In the meantime, congratulations to Jim and Donna (assuming their unanimous reappointment). Manager’s Agenda #8. A communication transmitted from Richard C. Rossi, City Manager, relative to the final Landmark Designation Report for the Ivory Sands House at 145 Elm Street and the Cambridge Historical Commission’s recommendation. My guess is that this is motivated by a combination of Curious George, the Kiosk, and, of course, some really problematic property owners who don’t understand the value of keeping good long-term commercial tenants. Unfinished Business #10. A proposed amendment to the Ordinance entitled "Zoning Ordinance of the City of Cambridge" as amended by the Planning Board recommendation to expand the requirements of the North Massachusetts Avenue Sub-district (Section 20.110) applicable generally within the portions of the Massachusetts Avenue Overlay District (MAOD) zoned Business A-2 (BA-2). The question comes on passing to be ordained on or after Aug 15, 2016. Planning Board hearing was held June 21, 2016. Petition expires Sept 20, 2016. Committee Report #3. A communication was received from Donna P. Lopez, City Clerk, transmitting a report from Councillor Dennis J. Carlone and Councillor Leland Cheung, Co-Chairs of the Ordinance Committee, for a public hearing held on Aug 31, 2016 on a zoning petition by Healthy Pharms, Inc., to amend Section 20.700 Medical Marijuana Overlay Districts by creating an additional Medical Marijuana Overlay District (MMD-4). The new MMD-4 District would be coterminous with the Business B and Office 3 Districts that are within the Harvard Square Overlay District. The petition would also establish as criteria specific to the MMD-4 District that permissible dispensaries must be retail only (with no cultivation), must be set back from the sidewalk by a minimum of 15 feet and be appropriately shielded from public view, must be less than 10,000 square feet in size, are preferably located in areas with access to pedestrian and public transportation, and may be 250 feet, instead of the standard 500 feet, distant from a school, daycare center, preschool or afterschool facility or any facility in which children commonly congregate, or closer only if it is determined by the Planning Board to be sufficiently buffered such that users will not be adversely impacted by the operation of the dispensary. Let’s hope that the City Council finally figures out that you can’t address the siting of marijuana dispensaries by a series of one-off zoning petitions. The path along Concord Ave. abutting Fresh Pond would also function better as a two-way path. This is incredibly short-sighted. Many residential streets should appropriately have 25mph speed limits, especially streets where there’s barely enough room for a motor vehicle and a bicycle to safely pass each other, but 20mph is more appropriate for an intensely pedestrian area such as Harvard Square or Central Square. There are many streets where the current 30mph speed limit is completely appropriate. As stated above, this should be done in a more granular way rather than as a single citywide speed limit set so low that few people will respect it. My guess is that Councillors Devereux and Mazen would like only bicycles and driverless vehicles to soon be allowed to operate in Cambridge. This is just a step toward that future. It’s interesting that ZipCar founder Robin Chase is simultaneously tweeting comparisons between restaurant costs, housing costs, and the cost of a parking permit. I guess she believes that all three should be exorbitantly expensive. Committee Report #2. A communication was received from Donna P. Lopez, City Clerk, transmitting a report from Councillor Craig Kelley, Chair of the Public Safety Committee, for a public hearing held on July 27, 2016 to hear from public safety officials on training equipment, response and communication policies pertaining to demonstrations, protests, memorials and similar actions involving large numbers of people in public space, ranging from CRLS student walkouts to Black Lives Matter memorials to the “let out” time of bars to Pokémon Go chasing and similar internet-driven meetups. Manager’s Agenda #1. A communication transmitted from Richard C. Rossi, City Manager, relative to the notification of approval of the Kendall Square Foundry Development Partners as the development entity for the Foundry. Manager’s Agenda #18. A communication transmitted from Richard C. Rossi, City Manager, relative to early voting sites. Manager’s Agenda #19. A communication transmitted from Richard C. Rossi, City Manager, relative to Awaiting Report Item Number 16-67, regarding a report on the Classification of Commercial Land Use and Recommendations study. Committee Report #5. A communication was received from Paula M. Crane, Deputy City Clerk, transmitting a report from Mayor E. Denise Simmons, Chair of the Housing Committee for a public hearing held on Aug 15, 2016 to continue the public discussion regarding the recently completed Inclusionary Housing Study and the Affordable Housing Trusts’ recommendations to the City Council. Communications & Reports from City Officers #1. A communication was received from Donna P. Lopez, City Clerk transmitting a copy of a letter from Hanne Rush, Assistant Attorney General, Division of Open Government, Commonwealth of Massachusetts, Office of the Attorney General, One Ashburton Place, Boston, MA, regarding the resolution of an Open Meeting Law Complaint filed by John Hawkinson on May 4, 2016.